Enviromart is a network of private agencies retail reverse movement of solid waste while realizing Zero Waste Indonesia through the utilization of a waste material that has economic value, production go green and environmentally friendly, and waste management consultant. 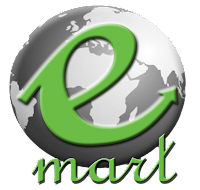 Enviromart was established on 10 March 2013 by a group of students of environmental engineering, University of Indonesia. 2. Creating a neighborhood area with an integrated waste management system. 3. Which reduces landfill waste to the landfill (The End Processing) by building a reverse logistics. 4. Makes an area a pilot area of environmentally sound. 5. Commercializing and optimizing sales of organic fertilizers. 6. Turning the reverse chain of waste management. Enviromart is an opportunity for those of you who want to invest to build these networks become more complex, integrated and mutual cooperation opportunities that benefit both parties. Reasons why you should invest in this business is that the waste will not be discharged due to the source of the waste will not ever run out, even multiply so it takes a body to treat conditions such garbage. How much profit from this business? very recommendation for you.